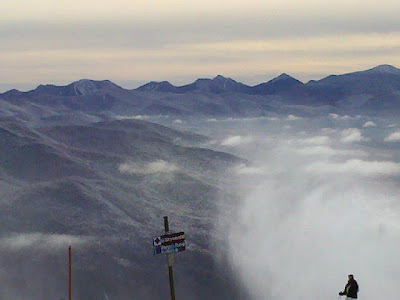 Today's Telemark Tuesday post was supposed to be a live blog from the number one ski spot in the East, Whiteface Mountain, but I overestimated my mobile blogging capabilities. Despite the technological glitch, today was a delightful, blue bird day at the Olympic Mountain. It was great to ski the best trail on the mountain, Skyward, in lovely, fresh snow conditions and bright sunshine. Sounds good to me! Glad you're smilin.